Do your eyebrows make you self-conscious? Are they less than lush and full? Eyebrows can lose their luster after years of overplucking, medical conditions, aging, or simply genetics. There’s finally a way to enhance sparse eyebrows in a way that looks completely natural: Microblading. Microblading is a type of cosmetic tattoo that mimics the look of individual hairs to create natural-looking eyebrows. 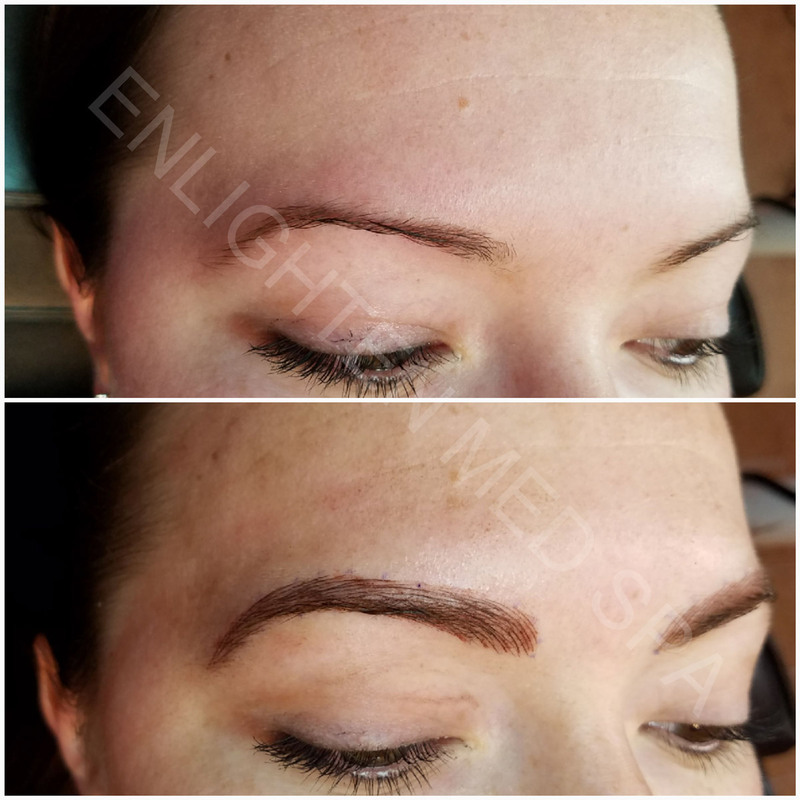 Much more realistic in appearance than penciled or tattooed eyebrows, microblading works with your existing brows to enhance what you already have by adding fine, individual tattooed hairs to your eyebrows. 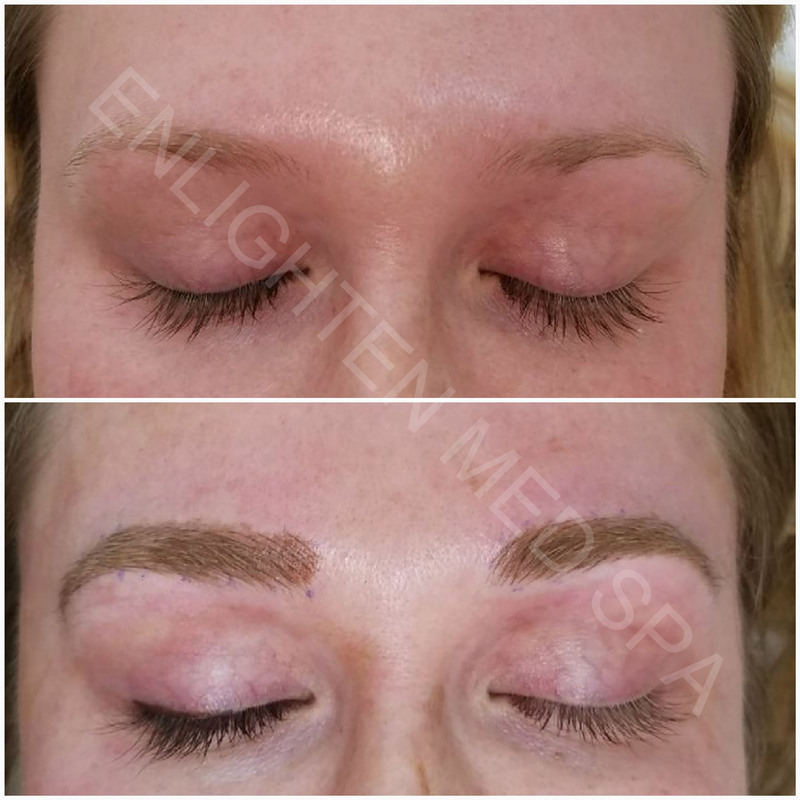 The estheticians at EnLighten Skin & Body Medspa use super-fine hair strokes to create realistic and natural-looking eyebrows. 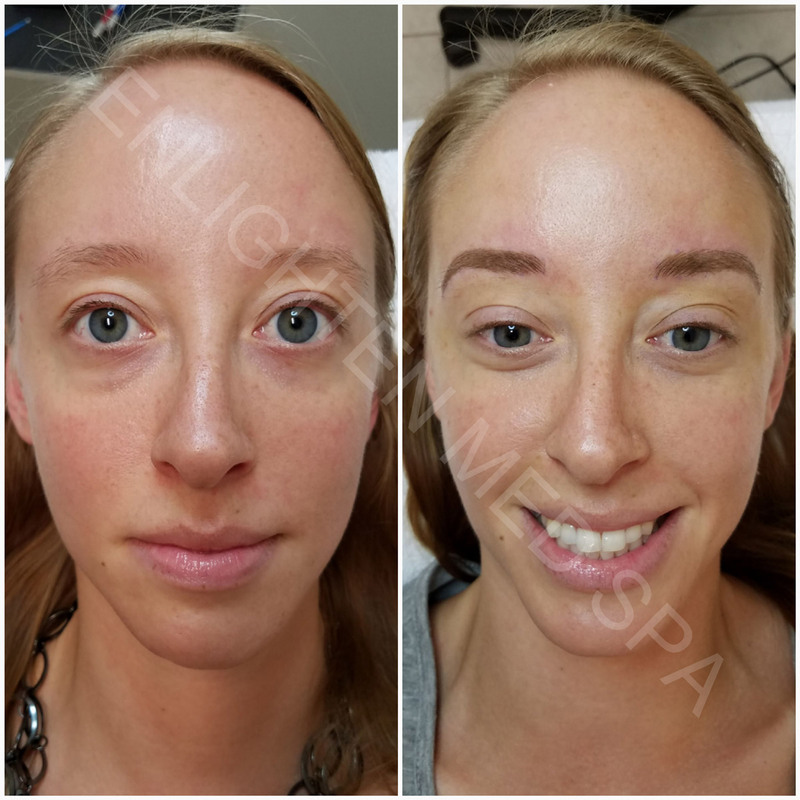 Sometimes called “eyebrow tattoos” microblading is used to give brows a fuller look, darker appearance, or more definition. Although they are similar, microblading is not the same thing as permanent makeup. When eyebrows are applied via permanent makeup, they are applied in a filler color. The brow may be outlined and then simply filled in with color. There is no definition or appearance of individual hairs as there is with microblading. Microblade eyebrows are applied as individual hairs resulting in a very realistic, natural-looking eyebrow. 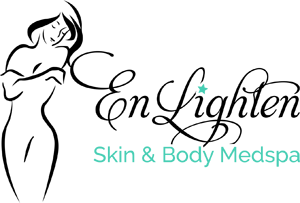 Microblading is considered a semi-permanent procedure. Results last several months to one year, depending on skin type. 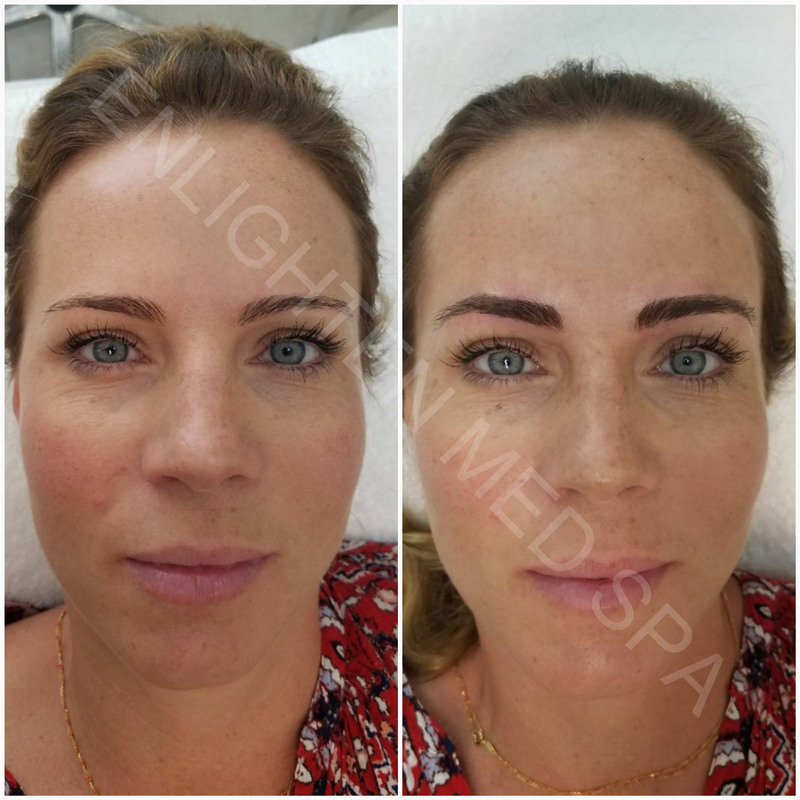 Microblading does not deposit pigment as deep as traditional tattooing or permanent makeup, so the pigment does not last as long and must be reapplied once it begins to fade. 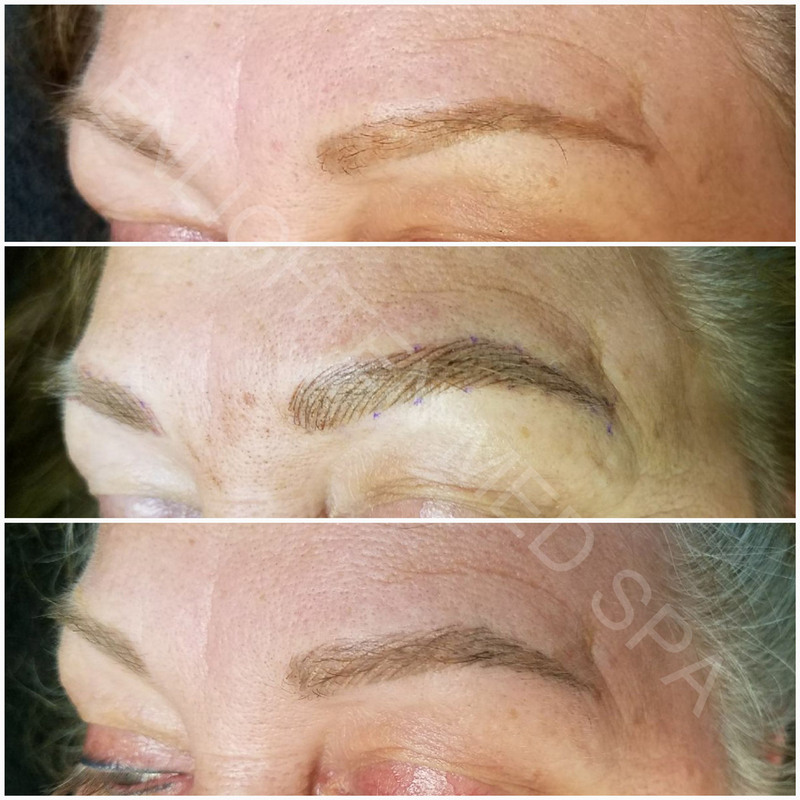 We have discovered that many of our clients appreciate the semi-permanent state of microblading because it gives them a chance to change the shape, appearance, and color of their brows! Microblading at EnLighten Skin & Body Medspa is safe and effective. 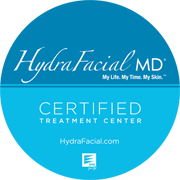 Our licensed medspa is inspected for safety and cleanliness and trained estheticians will conduct your procedure. 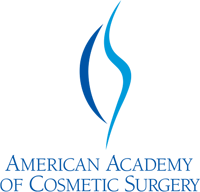 We are able to apply numbing gel if you require it and our use of safe, top-quality equipment and pigments minimizes the chances of an adverse reaction. We require advance consultations before scheduling a microblading procedure to identify any areas of concern and ensure that microblading will meet your expectations. Microblading is an excellent solution for anyone who wants fuller or more attractive eyebrows. Men and women of all ages can benefit from microblading as can people who have undergone chemotherapy, are affected by alopecia, vitiligo, or scarring, or those who have sparse brows. 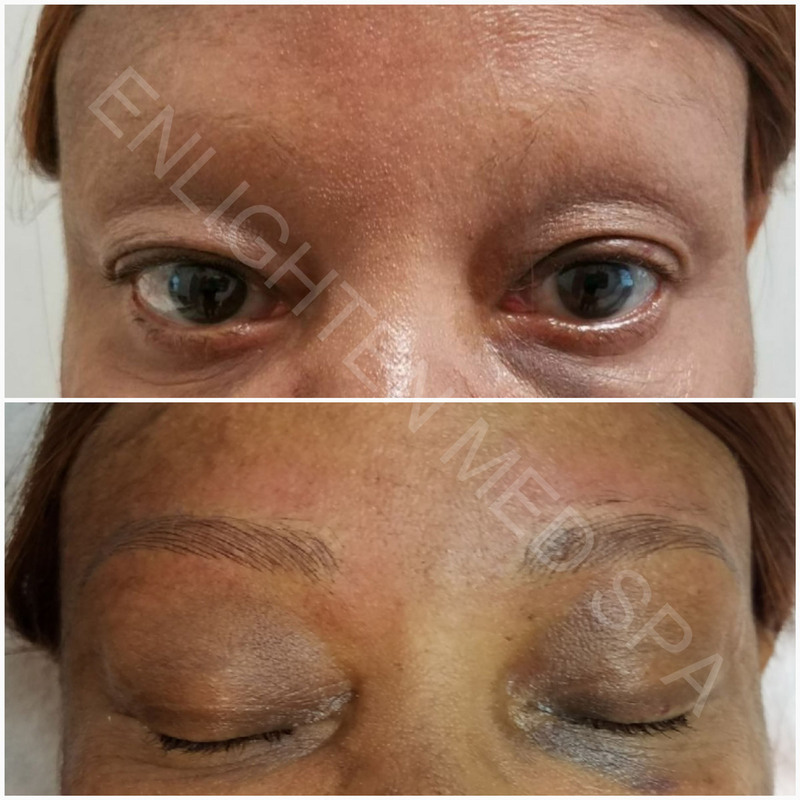 If you have ever wished there was a way to improve the appearance of your eyebrows safely and effectively, contact EnLighten Skin & Body Medspa to learn more about microblading. Call 407-857-5476 or make an appointment online to arrange a consultation.